Panoramic west facing view over Colony Farm with mtn background. 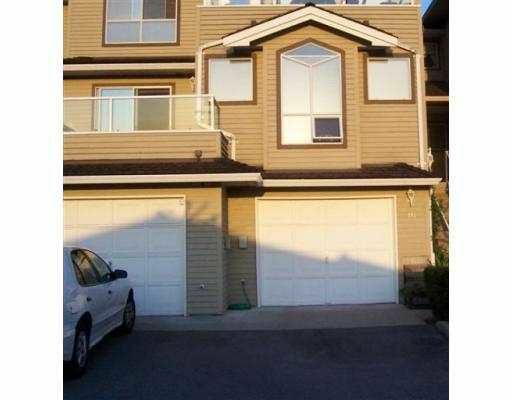 Good use of space in this 2 bdrm, 2 bthrm unit. Main living area is on 1st floor. Nice kitchen with half wall that opens to dining/living ro om. The spacious LR has gas fireplace, wall of windows & sliding door to big balcony that takes advantage of the views. Massive master has enste & 3 walk in closets, 1 could be used as a den. Big 2nd bdrm has a sliding door to balcony. Loads of storage & oversized single car garage. Enjoy townhouse living near nature & the city. Act fast! Meas approx, should be verified.